How Does an Enterprise SaaS Company Set Up Complex Recurring Billing? Velaro is one of the leading live chat software companies for enterprise businesses, with a customer base spanning diverse sectors - from education to healthcare. Their Live Chat Performance Management is tailored to accommodate a multitude of consumer needs through a variety of different options, depending on the needs of the customer. From a practical standpoint, a company that offers customer service that is phone-based means that this agent can only handle one call at a time, explained Jeff Mason, who oversees Velaro’s marketing functions. When a company switches to live chat, that agent can handle as many as 4 to 5 interactions at the same time. No stranger to the needs of enterprise businesses, Jeff has been in the software business for about 20 years. During that time, he had worked off and on with Velaro’s founders, coming on board with Velaro five years ago when they needed help with their marketing push. Currently, his duties touch every aspect of the company, which includes developing relationships with companies that Velaro can bring the most value to. The needs of these companies often require sophisticated partnering so that Velaro can best support their customers’ plans to grow their businesses. For example, an e-commerce site may require live chat resources to support their sales channel. With a sophisticated smartphone app, the customer could have the ability to scan the shoe type and check the inventory. But better yet, he could engage the live chat option to speak with an agent about that type of shoe, how it is designed, et cetera. That type of customer service would not fit into a traditional, out-of-the-box live chat platform. “They cannot buy what they need out of the box,” Jeff explained. On an e-commerce site, that customer may find the exact same pair of shoes, in the same desired size and color. But before clicking on that purchase button, he may have more questions, such as how large the toe box is on that particular shoe. Without a live chat option to ask questions and get immediate answers, that pair of shoes may be abandoned in the shopping cart altogether. “Increasingly, phone and email are less and less appropriate or productive tools for organizations." Consequently, a chat program that combines both live agents and automatic bot responses, while integrating with ever-changing inventory levels, requires the level of sophistication that Velaro can offer. Velaro’s offerings are not limited to e-commerce, though. Another customer profile is the healthcare client, which requires stringent adherence to HIPAA (Health Insurance Portability and Accountability Act) regulations. Jeff explained that this is not specific just to a secure chat interface, but with other mediums, such as the way that information is secured. This security includes the way that a chat transcript may be presented. Working with banking systems also requires adhering to strict practices and protocol, including the Payment Card Industry (PCI) standard, as well as other security measures. The clients that Velaro work with all come to the table with different live chat requirements, some similar, others much more specialized. What makes Velaro stand out is their live chat customization for varied and complex business use cases. As an example, Jeff said, “They may need to integrate with one specific CRM (Customer Relationship Management) software and we’ll configure the appropriate configuration” regardless of which CRM platform is utilized. They also offer the flexibility to adhere to “sophisticated workflow rules.” These rules can take into account both bot responses and/or live chat integration, depending on the specific page on a website from where the chat dialogue is generated. “Our competitors generally offer ‘small, medium and large’ options,” Jeff said. “With the services component of Velaro, offerings often involve customization and configuration. In their old billing system, they would create a new customized package billing for each customer’s specific needs. “We found we had an unruly mess of packages,” he said. The mountain of options, cycles and income options turned into a virtual Everest for billing needs. However, knowing that Velaro needed to tailor its offerings, Jeff was aware that it was increasingly critical to also upgrade his subscription billing and management platform. Unfortunately, the previous billing company they used was simply not good enough for their multitude of customer—and subsequent billing—needs. As Velaro’s business grew to handle the needs of hundreds of customers their recurring billing and billing management system was unable to keep up. Offer an open, flexible, user-friendly, REST-based API that could also fully integrate into their billing system. Be backed by a general ledger synched with QuickBooks Online, to reduce data entry as well as provide clear understanding of financials in real-time. Leverage automated billing related communications to reduce churn. Seamlessly configure with their own software and future software upgrades. This includes accurate, timely automatic billing, downgrade and upgrade management, and the ability to actively monitor aging invoices. Provide support for revenue recognition rules to track accrued and deferred revenue. And, as customers’ needs changed, Velaro wanted to quickly respond to those demands with a Self Service Portal, allowing customers to update their information, change their product options, and view invoices and statements. 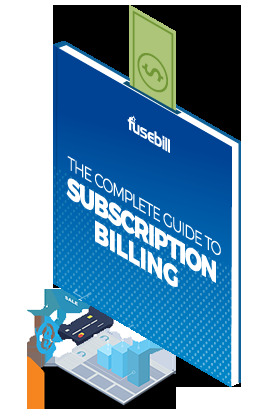 Jeff joined forces with Fusebill, which offers the flexibility in both recurring billing and subscription billing management that Velaro’s diverse product solutions required - with their comprehensive product catalog. Because of Velaro’s ambitious and sophisticated needs, they determined that Fusebill’s flexibility provided the best solution. “We first contracted with Fusebill in September ‘17,” Jeff said. Just like Velaro offers diverse options for live chat management, Fusebill’s flexibility in recurring billing and subscription billing management complemented Velaro's strategy very well, and will continue to adapt as their customers’ needs change.